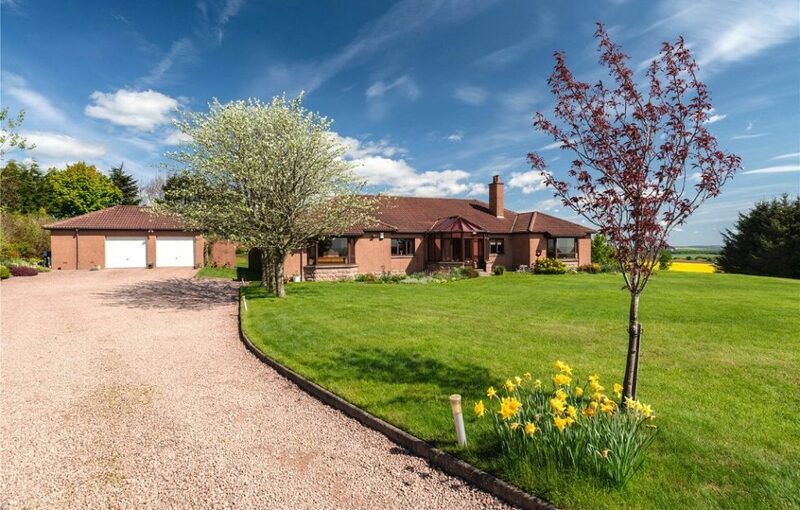 A superb four-bedroom detached bungalow with excellent equestrian potential is now for sale. 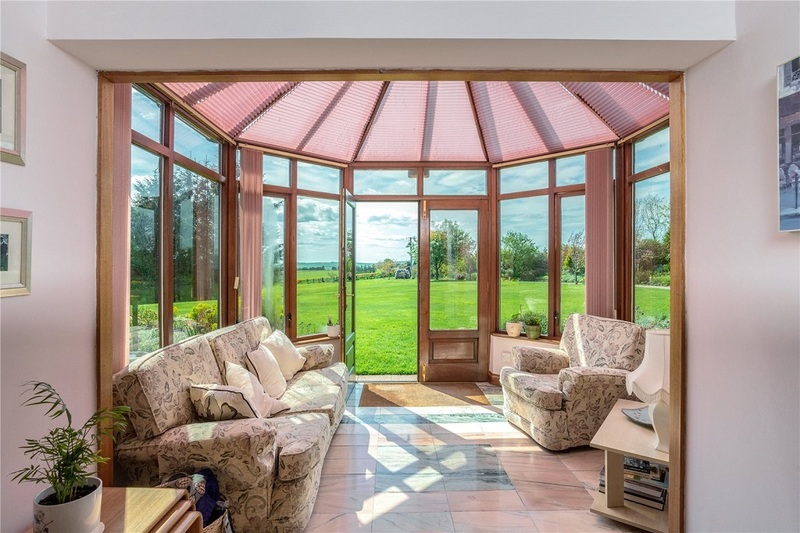 Presented for sale by Galbraith, Hill House is a superb detached family home built in the early 1990s to an exceptionally high standard, and well designed to maximise on space whilst positioned to perfectly capture the surrounding countryside setting. The main entrance to the property from the front is through double doors into the conservatory, which has south facing views and stunning marble floor tiles. An internal door then leads you through to the incredible main entrance hall, which is a considerable size and provides individual access to most of the rooms. This area is laid with quality wood effect flooring and has a large shelved storage cupboard. The lounge is an exceptionally large room with windows to both the east and south, perfectly capturing the countryside views. The focal point is certainly the stone fireplace with open fire and marble hearth. 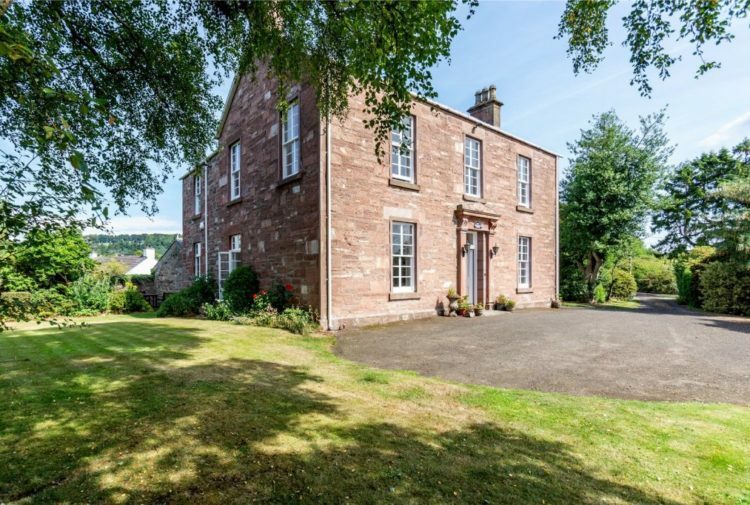 Double arched doors lead through from the lounge to the dining room, which again enjoys the breath-taking views towards Turriff. 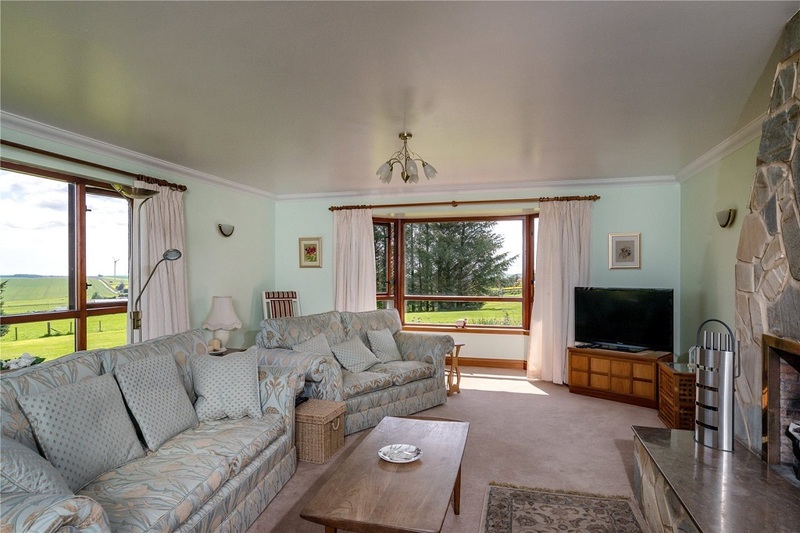 This room is also thought perfect as an additional sitting room or family room and has separate access from the main entrance hall. 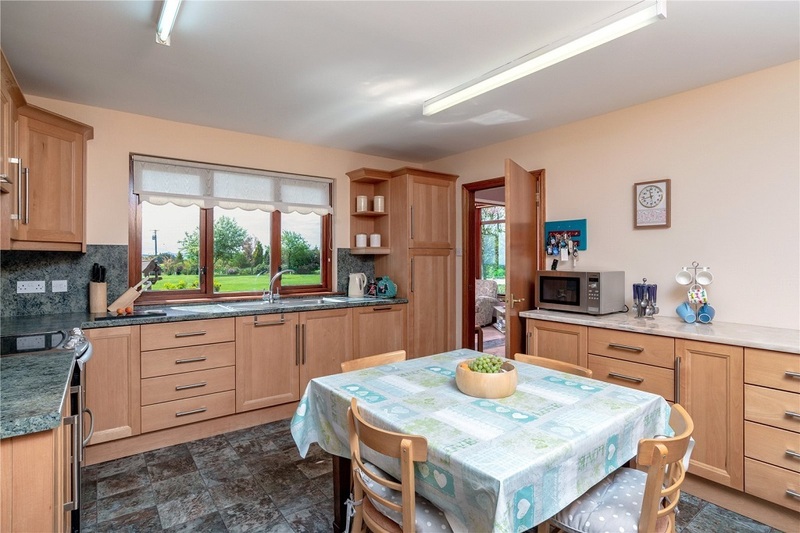 The family dining kitchen is central to the home and is well equipped with plenty working and storage space whilst easily accommodating a dining table and chairs. This room has a southerly aspect and of particular note is the traditional style stone fireplace with wood burning stove. Also located at this end of the house is the large utility room, with storage space, work tops, sink and direct access to the boot room. The boot room is also of a generous size and leads out to the rear garden. The cloak room has a two piece suite and rear facing window. Returning to the main entrance hall and continuing to the far end of the house you will find the master bedroom. This bedroom is exceptionally large with a southerly position and attractive bay window. An abundance of storage space is provided by two separate built in double wardrobes and further double wardrobes with sliding doors. The ensuite bathroom has both a bath and double shower cubicle with modern aqua panelling. Bedroom two is a large double room located to the rear and also benefiting from triple sized built in wardrobes. Bedroom three is equally spacious and a full double in size with built in double wardrobes, while bedroom four is a good single room and is also thought perfect has a home office or study. Located centrally within the bedrooms is the main family bathroom with three piece suite including a bath with overhead shower. The shelved linen cupboard houses the hot water tank. The sweeping stone chipped driveway takes you off the main road and provides excellent parking to the side front of the house. The detached double garage has two up and over doors and can easily accommodate three cars. The garage also has power, light, water, provides overhead storage space and has rear door access to the garden. The driveway is flanked to one side by a colourful and mature planting area and to the other side the rolling lawn continues down to the trees at the bottom and furthermore round the house to the rear. Lying to the rear are various fruit trees, a clearly defined vegetable patch and there is an outdoor water supply, shed and greenhouse. The garden grounds surrounding the property extend to approx. 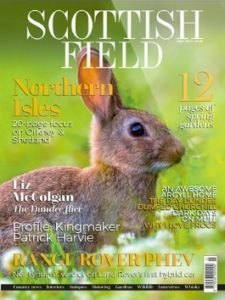 1.8 acres creating superb safe outdoors space. The fenced land lies adjacent to the property and extends to approximately 8.3 acres in total. 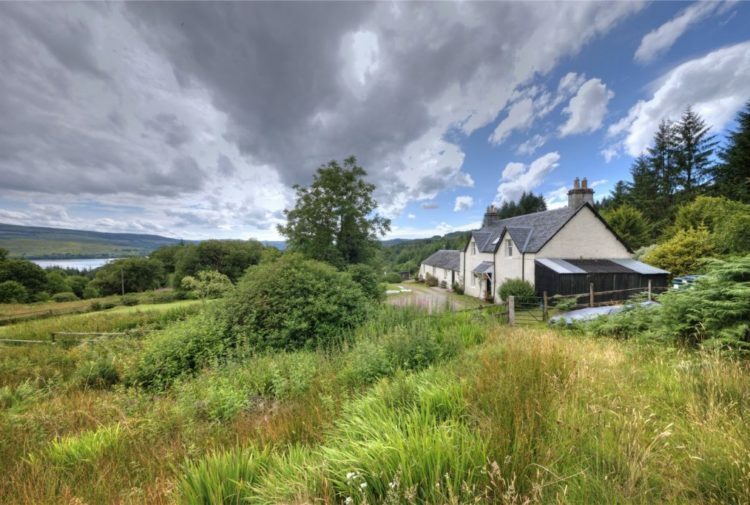 This land is perfect for horses making Hill House a superb property for those buyers with equestrian needs or other rural or agricultural pursuits. There are also various areas within the grounds which are thought perfect to accommodate stabling and outdoor equestrian facilities. 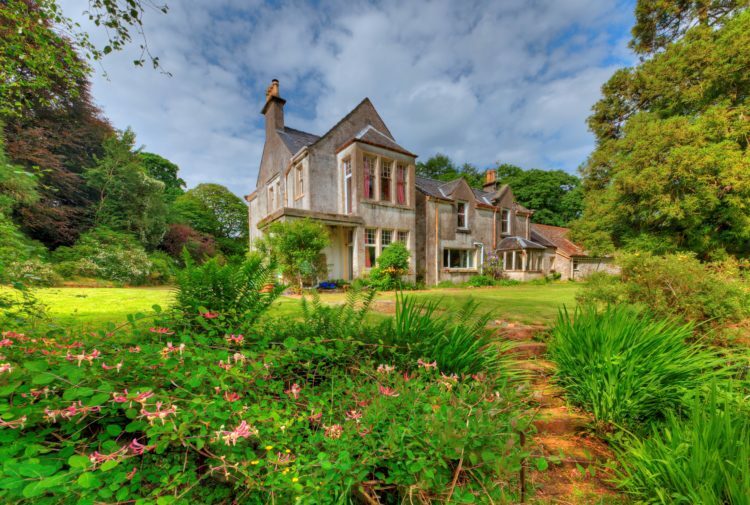 Hill House is located approximately five miles south of the town of Turriff in an extremely picturesque rural setting. Turriff has a varied shopping centre, numerous dining choices and leisure facilities to include swimming pool, sports centre, indoor bowling stadium and outdoor green and 18-hole golf course and fishing on the River Deveron.